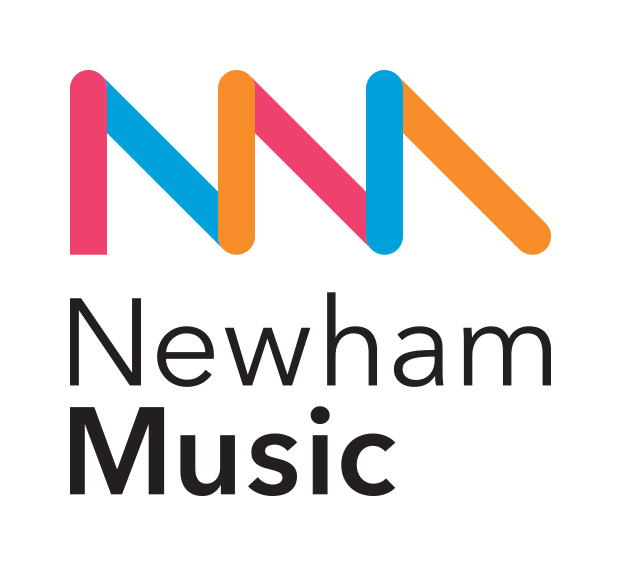 Newham Music is an award-winning music hub for Newham. 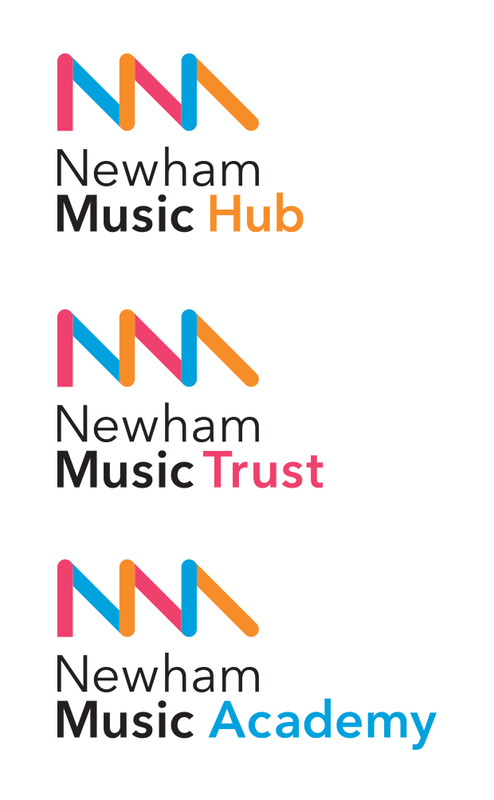 They provide high quality music education and opportunities to children and young people in schools throughout the borough and at Newham Music Academy. 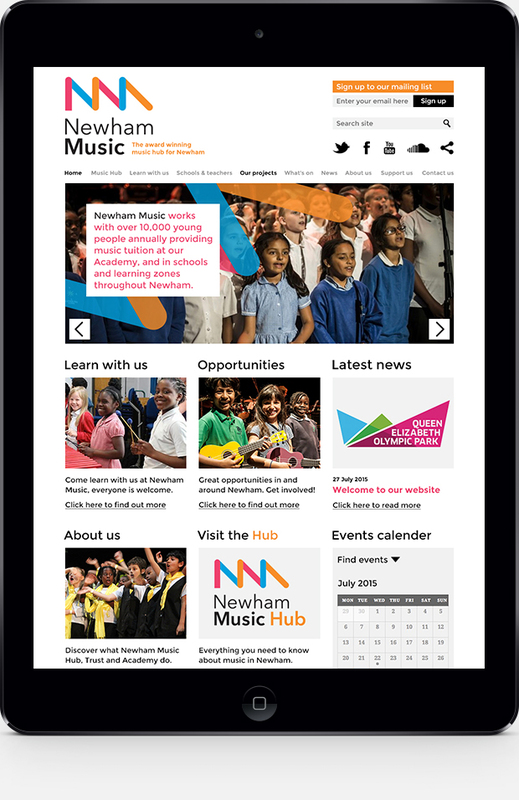 Newham Music approached us after seeing the work we had done for PRSF. 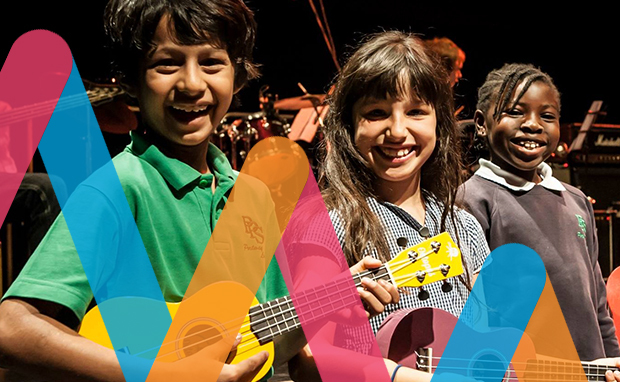 They required a brand appraisal and identity re-design followed by a new website. 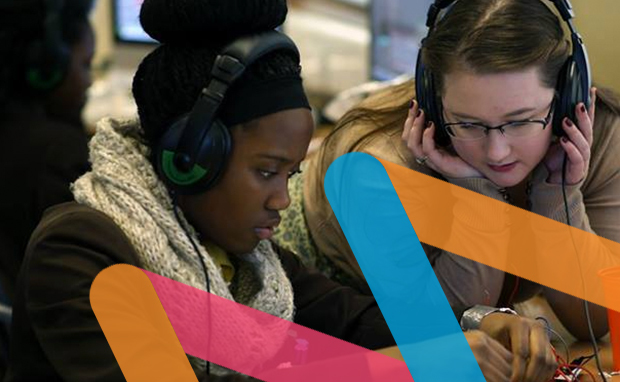 We had a simple brief that the new identity needed to be universally easily understood due to the wide demographic. We decided to keep the typography as clean and clear as possible, using the mark as the vehicle to be creative with. We introduced a colour scheme that aligned with the sub-brands and reinforced a consistent tone of voice. The responsive website needed to carry a lot of information as well as host a payment system and events calendar. We again kept things clean and clear, with bold type that is all easily readable. 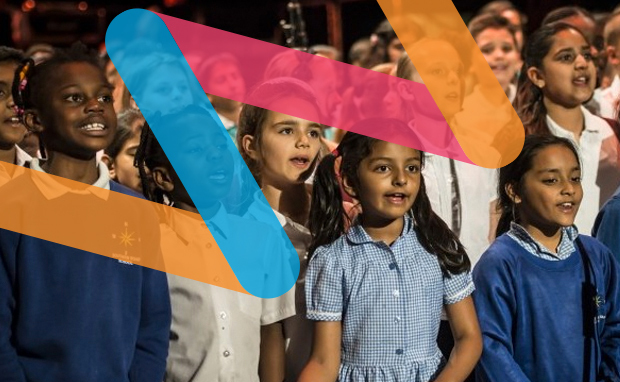 We love our new look! 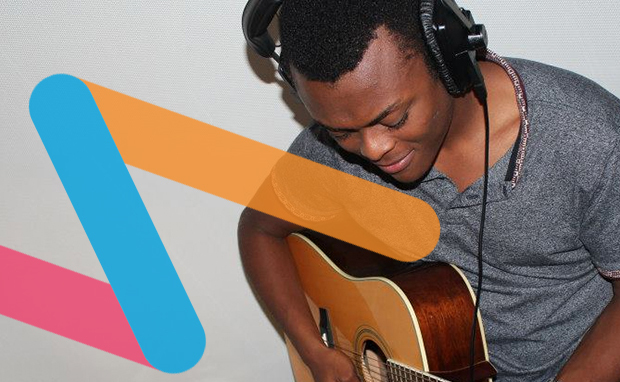 Hold were brilliant to work with right from the outset. They intuitively understood our needs and took our ideas and vision to a whole new level through a patient and well-thought out development process. We highly recommend Hold & Stuart, Steve & Mike's work.